KENT, Wash. – The Seattle Thunderbirds scored three times in the first period and converted on three power play goals, skating away, 6-1 over the Everett Silvertips before an announced crowd of 5,157 at ShoWare Center on Sunday in WHL action. 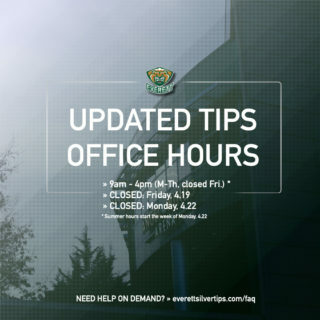 The loss dropped the curtain on the Silvertips season long seven game winning streak, however still maintaining a one point lead for first place in the U.S. Division over the Thunderbirds while holding two games in hand. Connor Dewar netted the lone goal for the Tips, shorthanded in the second period. The teams will meet again in downtown Everett on Saturday, Mar. 4. 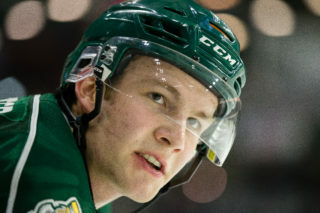 After the Silvertips failed to cash in on a 5-on-3 chance, back-to-back Tips interference and tripping penalties opened the door for Keegan Kolesar’s five-on-three goal, one-timed from the left circle at 7:10 for a 1-0 deficit. Luke Ormsby capitalized on a Silvertips miscue in the defensive zone at 12:35 and Anthony Bishop added insurance at 18:04, putting the Silvertips into a 3-0 hole and ending the day for starter Carter Hart, who made nine saves. Ryan Gropp’s power play goal, a wrister from the right circle, boosted the lead to 4-0 at 4:56 of the second period. The Silvertips struck for their fifth shorthanded goal on Connor Dewar’s strip of Mathew Barzal and subsequent breakaway, 10:39 into the period. Barzal answered with a snipe from the left circle, capping off a four point effort, at 12:14 to restore Seattle’s four-goal cushion. Elijah Brown closed the scoring at 15:13 of the third period on a wrister from the right circle. Mario Petit, relieving Hart to begin the second period, stopped 12 shots. Counterpart Rylan Toth picked up the win with a 20 save effort. 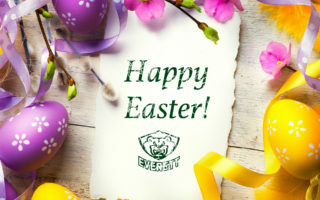 Notes: Silvertips scratches included Montana Onyebuchi (game time decision), Ian Walker, Cal Babych, and Orrin Centazzo … Anderson made his Silvertips season debut after a recall from the BCHL … the Silvertips fell to 3-3-1-1 in the season series against the Thunderbirds. 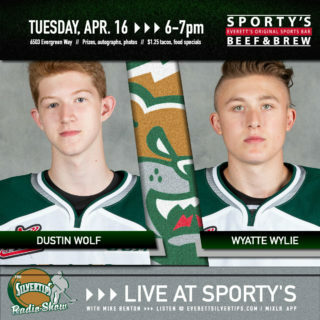 The Silvertips return to play with 12 games left in the regular season on Wednesday, hosting the Spokane Chiefs at 7:05 p.m. (1380 AM / FM 95.3 / Tips App). 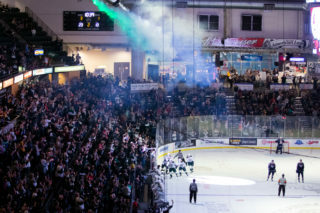 Tickets for Midweek Madness, offering two for $20, are available at www.everettsilvertips.com/ticketpromos.